Sceptics are people who are prepared to ask difficult questions, and point out uncomfortable truths. In societies where freedom of speech is denied, such habits can be seen as subversive, and even dangerous. One of the most famous sceptics in history, the philosopher Socrates, was sentenced to death for “corrupting the young” by encouraging Athenians to question accepted wisdom. Even in democratic states, sceptical thinkers can face difficulties. Journalists who expose quackery and corruption may find themselves on the receiving end of crippling libel suits, while scientific advisers are sacked for questioning government policy. Societies that exclude scepticism become incapable of acknowledging and correcting their mistakes. 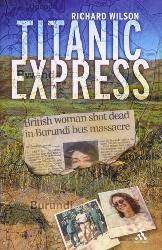 At the extreme, the consequences can be fatal. In Soviet Russia and Maoist China, millions starved through the imposition of pseudo-scientific agricultural policies that few could question freely. In the modern era, the application of archaic media laws can allow corporate negligence and malpractice to go undiscovered. Yet while today’s sceptics still face many challenges, modern technology also creates new opportunities for defending and extending the freedoms on which scepticism relies. 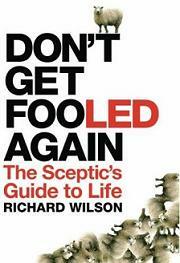 In “Don’t Get Fooled Again”, Richard Wilson highlights the relationship between scepticism and freedom of speech, and talks about the tools that modern-day sceptics can use to help preserve it.